B double E double R UN…Beer Run! Please say this sentence out loud: “Beer is the perfect post-run recovery beverage”. Thank you. 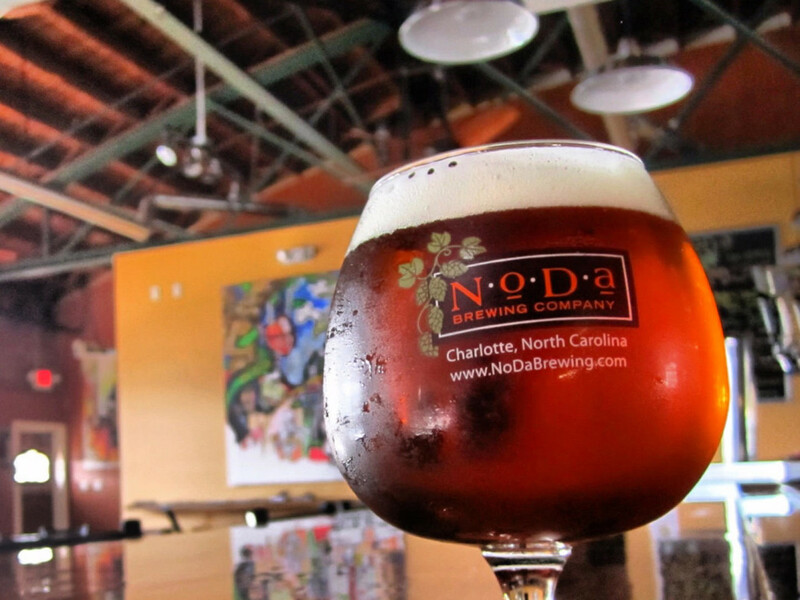 Since running alone can get boring and drinking alone too often could give cause for alarm to your loved ones, our friends at NoDa Brewing have created a run club where Charlotteans can get together for a few miles and a few beers. 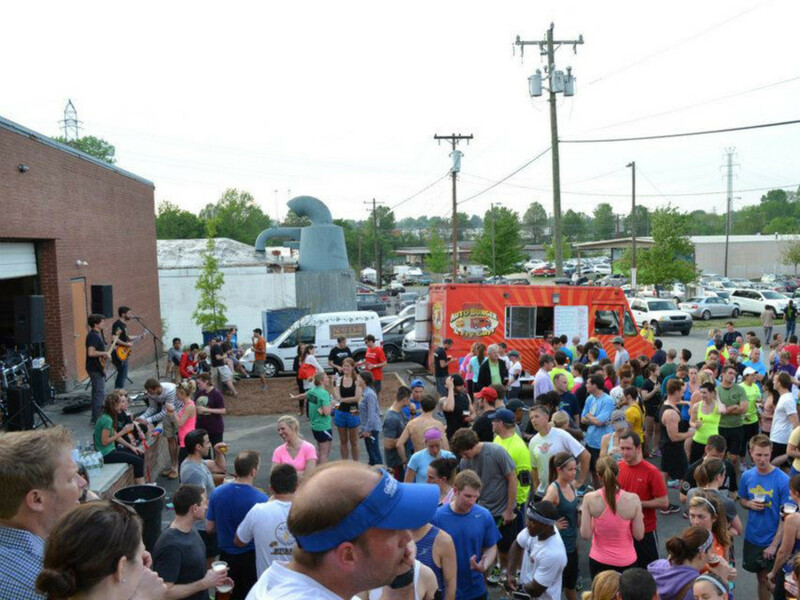 The Wednesday evening run starts at 6:30 from the parking lot of NoDa Brewing. There are 1, 3, and 5 mile routes. A few manageable hills keep it interesting but allow you to move at a decent pace. That’s important when your prize is a freshly poured pint. The routes are marked and volunteers are located at the split for each distance to guide the way. Warmer weather attracts larger groups and women typically outnumber the men. There is a wide range of paces so whether you are a casual walker with your favorite canine pal or a fleet footed marathon master, everyone can feel comfortable. Brian Mister is not only the brains behind the Wed night run club but also holds one of the coolest job titles in Charlotte. As the Director of Community Optimism for NoDa Brewing, Mister organizes the collaboration required to make this weekly event so successful. And there is a lot of collaboration. “The Herban Legend food truck is here every week”, says Mister, “So is the Doghaus Bakery, basically a food truck for dogs”. OrthoCarolina sends trained sports therapists to some of the Wednesday night runs to answer questions about those nagging aches and pains and provides support for many of NoDa Brewing’s initiatives. Mister and the team have created a community that reaches beyond running and having a beer on Wednesday nights. During a drive to support Running Works, an organization that helps the homeless in a unique way, they have collected several carloads of running shoes. At their Beers for Boston event last summer the NoDa Brewing event raised over $2,000 to help a local family affected by the Boston Marathon bombing. 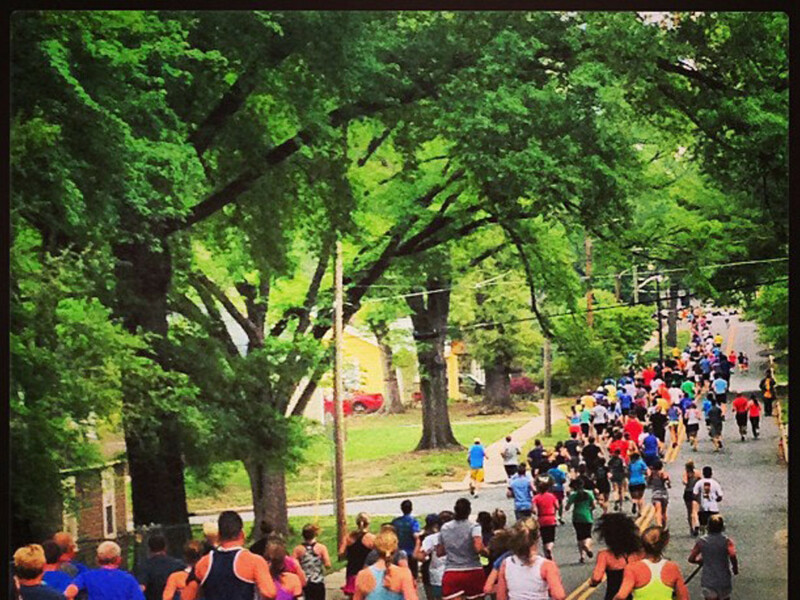 Where did the idea for the NoDa run club come from? “I was a soccer player and runner in college. I wanted to get back to that,” Mister says, “When a friend from Raleigh told me about a running group at a brewery it made perfect sense. The goal is not just to get more people in to sell beer. We want to expose runners to beers they might not normally try and to get beer drinkers to be active in a way they might not normally be. The event had humble beginnings. The first event 18 months ago attracted 3 runners. “Then 20 showed up, then 30. We’ve grown to over 300 during the summer,” says Mister. What’s the biggest challenge presented by this phenomenal growth? “How to get people beer fast enough. We’ve added an outdoor bar and more bartenders”. You can also pre-order your shawarma, burger, or other tasty dinner from the Herban Legend truck to ensure a quick pick up when you’ve finished your run,” says Mister. In addition to the Wednesday night running events, the NoDa Brewing run club and Start to Finish Events have organized a well-recognized 5K race. Planned for the first week of June in 2014, the race garnered attention from Endurance magazine last year as one of the area’s best 5K’s and best post-race party. While the run club event is a constant every Wednesday, each week brings something new. For example, local start up incubator Tech Talent South recently sprung for the first 200 beers after the run one Wednesday night. Some weeks might feature bands and some may have a raffle for a local charity. 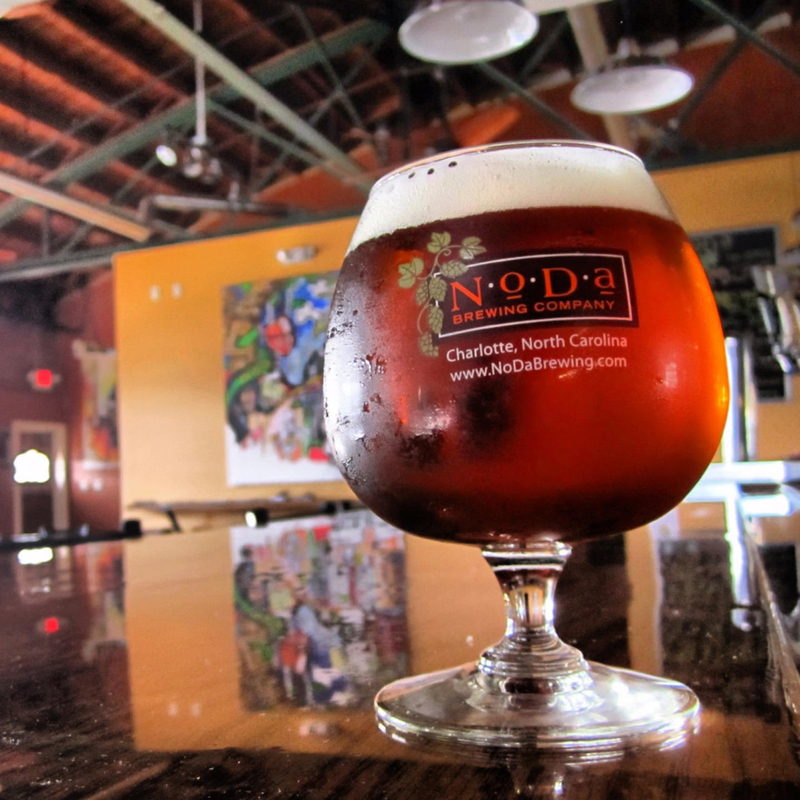 Of course you can’t overlook the happy coincidence that NoDa Brewing releases their weekly beer, called the Nodable series, on Tuesday so there’s something new on the menu to taste each week.